Today is St. John’s Day, the feast of St. John the Baptist. Naturally this has me thinking of St. John’s Wort. You’ve probably all heard of it. It’s been studied almost as much as echinacea. And like echinacea the poor herb has been pigeonholed, in this case as a remedy for depression. But it is much more than that. I’m going to resist going on here about the trouble with modern medical thinking in relation to herbs, I’ll save that for another post. Instead, let’s just talk about this lovely yellow flower and all it can do for us. First, the name. The common name is probably for St. John the Baptist. His feast is June 24th, at midsummer, and this plant blooms first in June. 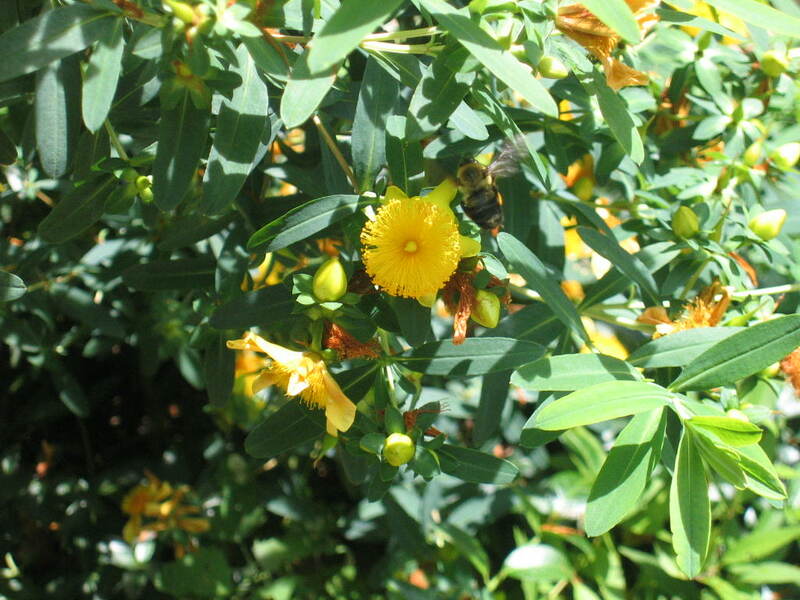 The Latin name is hypericum perforatum. 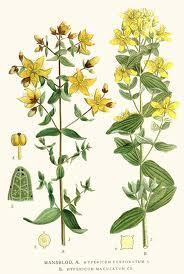 The Greek was hypericon – above the icon – and this became hypericum in Latin. 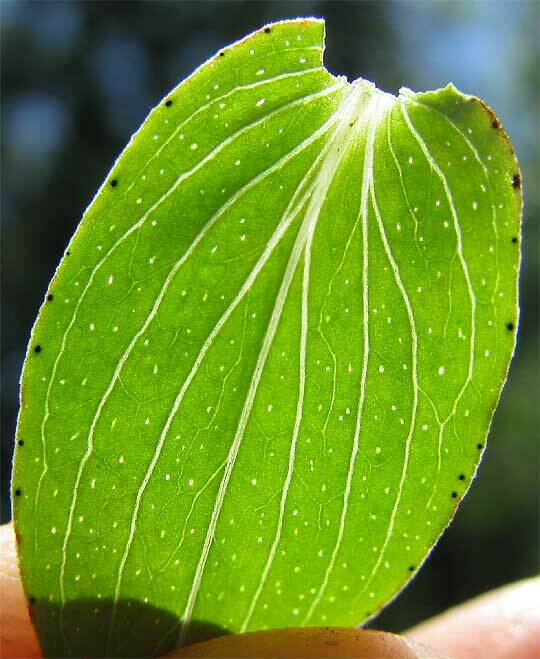 Perforatum is for its leaves which when held up to the light look like they have tiny holes. These a re not holes but oil glands. I found this great picture on an herby website that illustrates this. During the Middle Ages St. John’s Wort was considered protective against witchcraft and other evils. It was hung over the door when it bloomed at midsummer. It was also associated with faeries, and the Little People, along with hawthorn and elder. When tension is removed from the liver that relief carries through to other organs in the body. You also get improved circulation and cardiovascular tone. In injuries and wounds it has an anti-inflammatory (again a kind of relaxation) effect. I use an oil for injuries that is a combination of St. John’s Wort, arnica, and chamomile infused oils. It works very well on bruises and sprains to relieve inflammation and pain and to limit bruising. So you see that sticking it in the hole that says “for depression” is completely inadequate. Herbs are so much more than the sum of their chemical constituents. Here is a different hypericum species that grows in my park (there are about 400 species in the genus). The bees just love it.